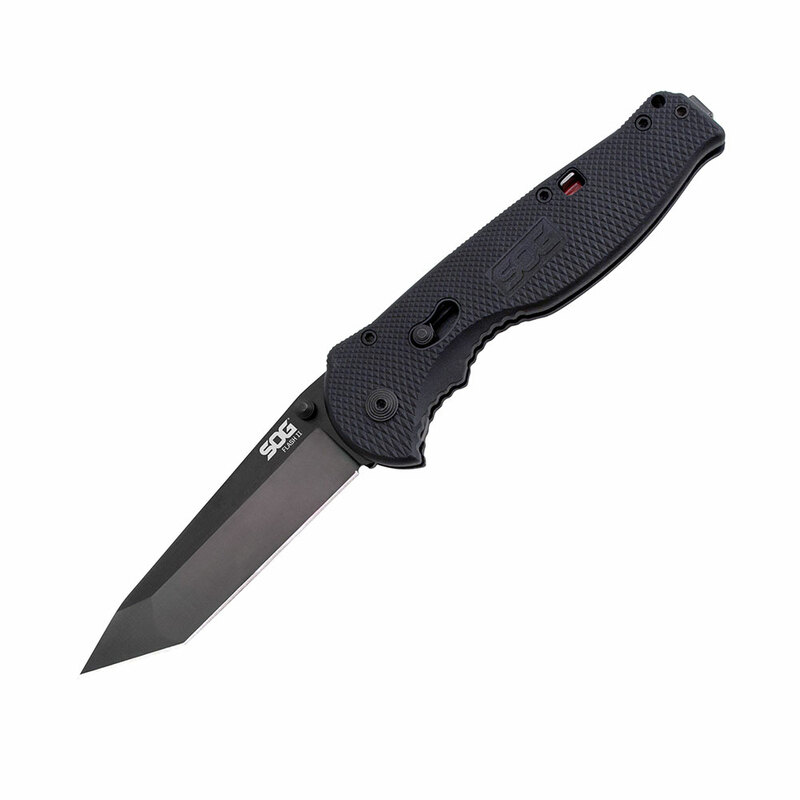 The FatCat is like our Tomcat after a series of upgrades. 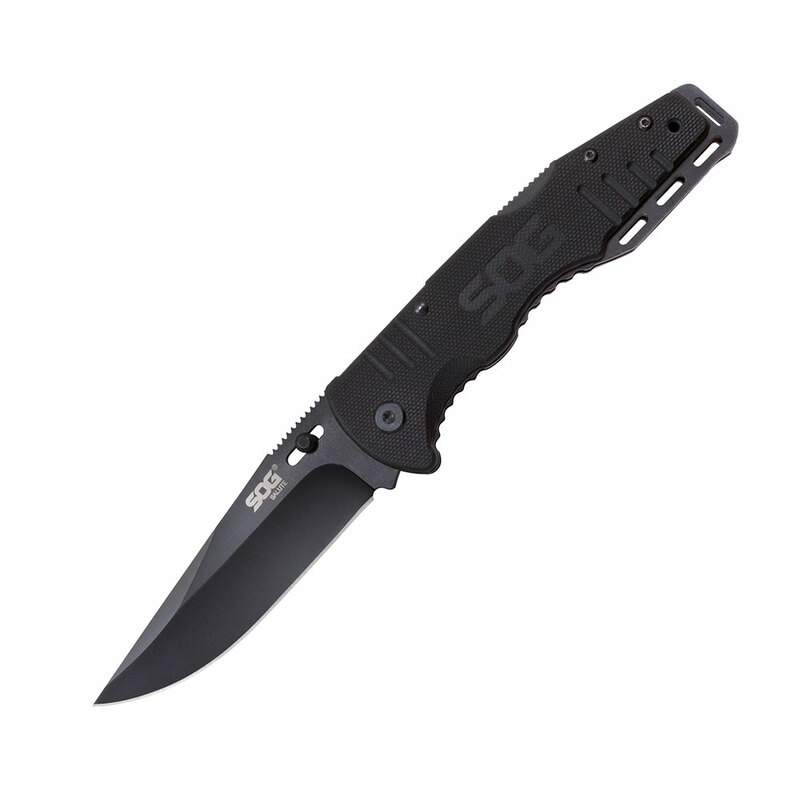 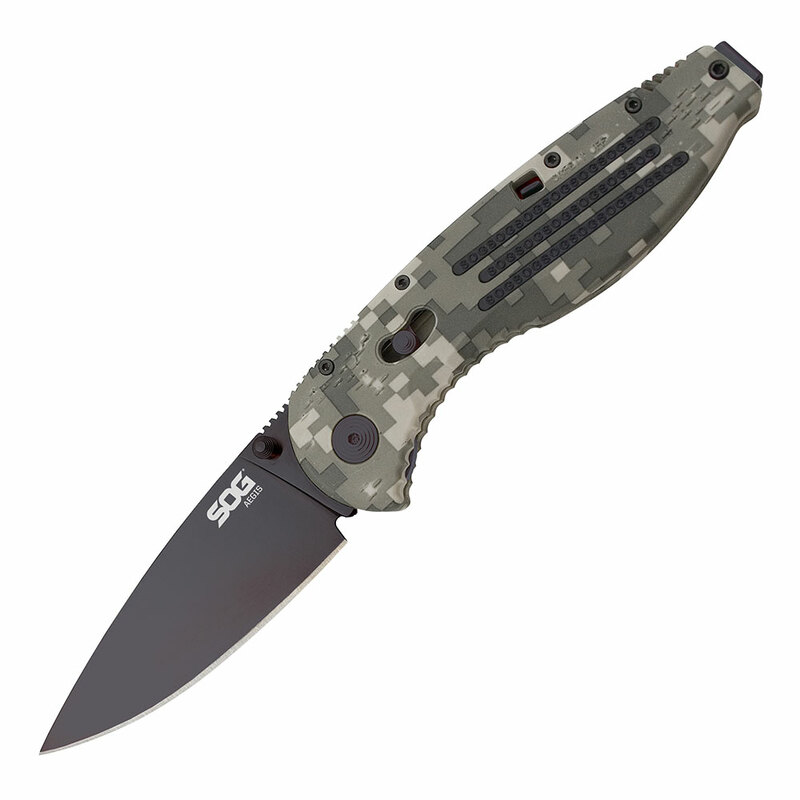 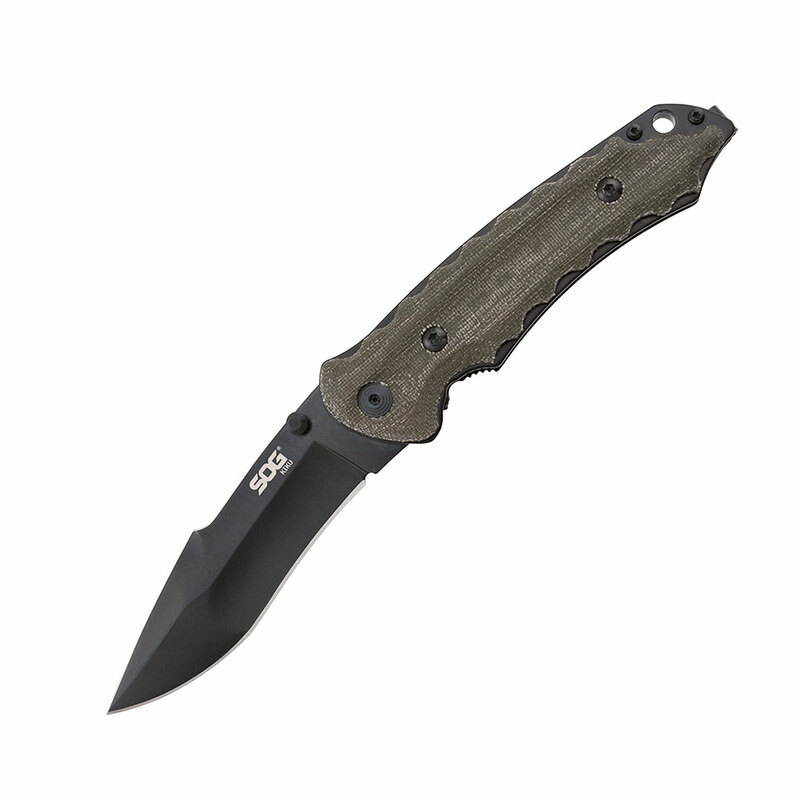 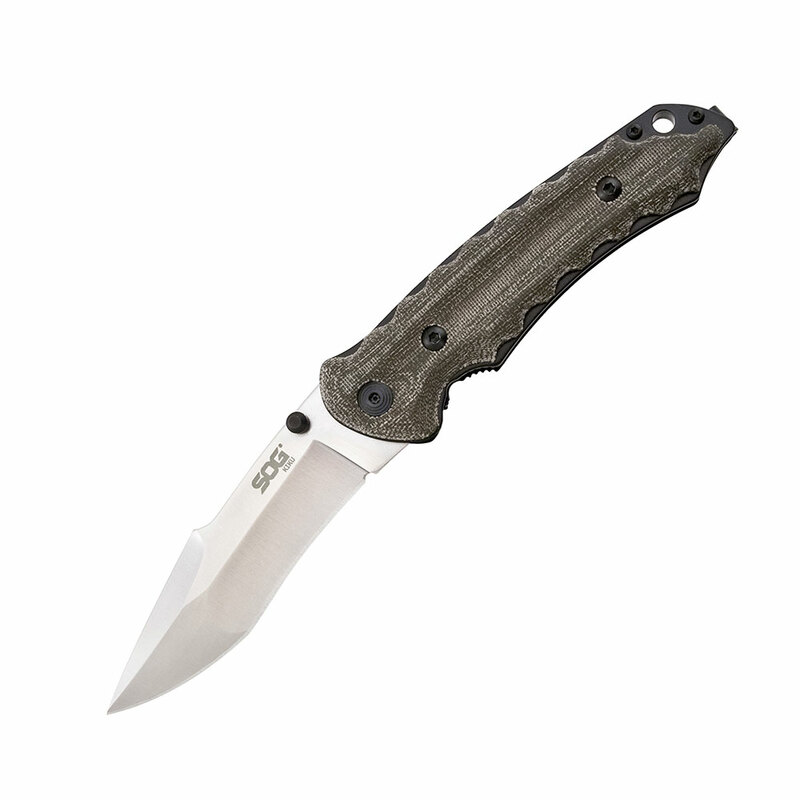 As SOG’s largest folder, the FatCat is not intended for the mainstream consumer. It is designed to be exceptional with rare details such as dual tone TiNi (titanium nitride) finished blade. 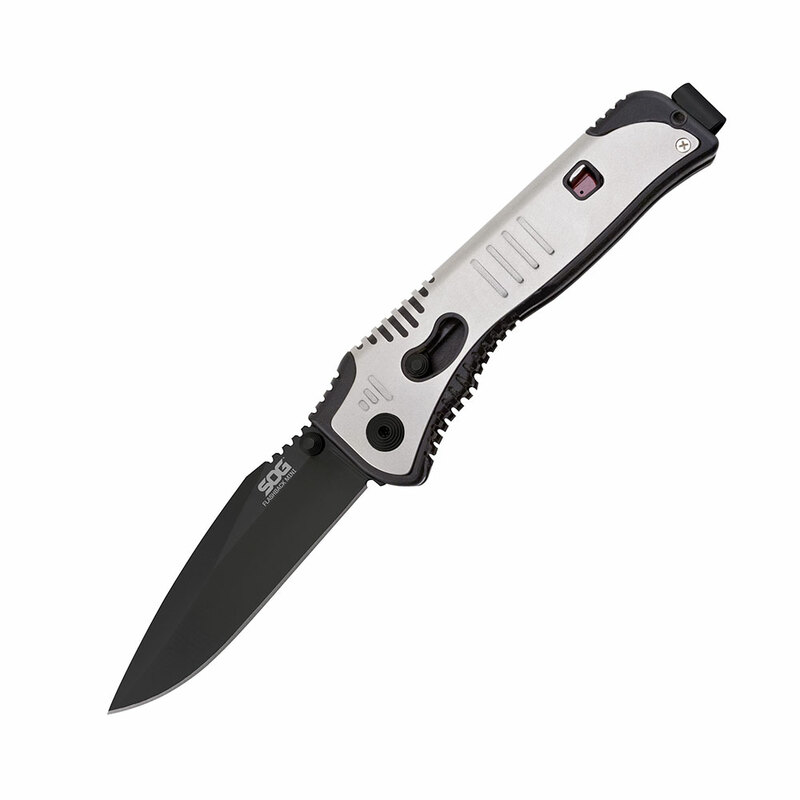 Surprisingly light for its size, the FatCat is also quick and smooth to deploy with either hand using the double thumb studs. 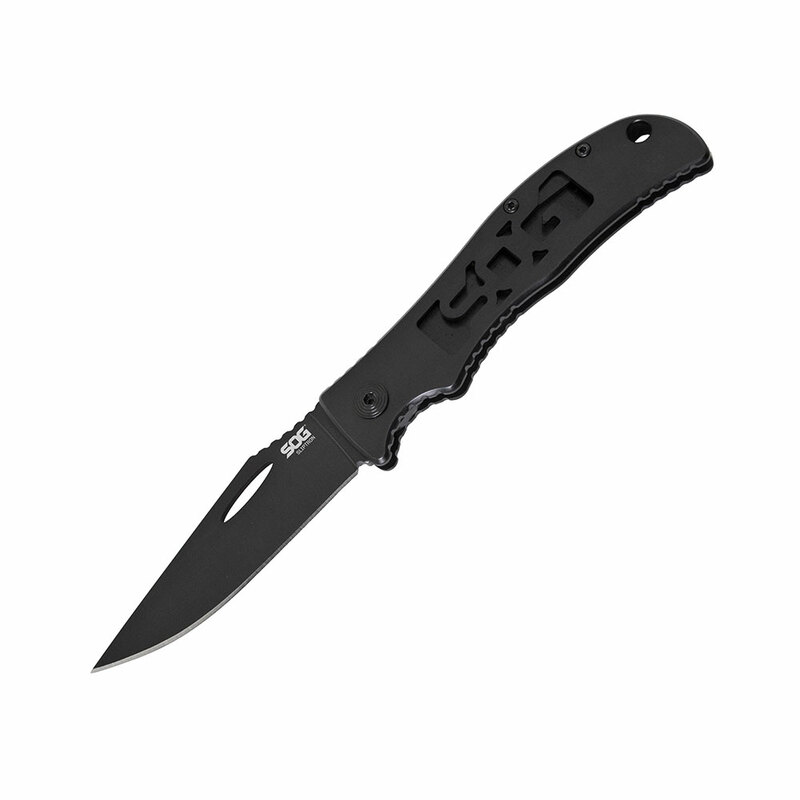 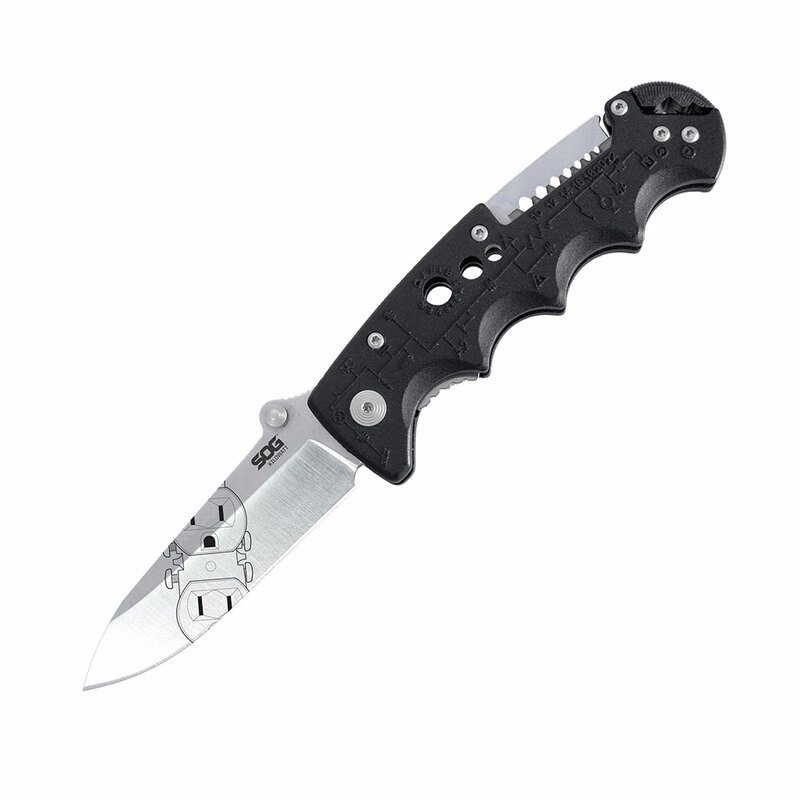 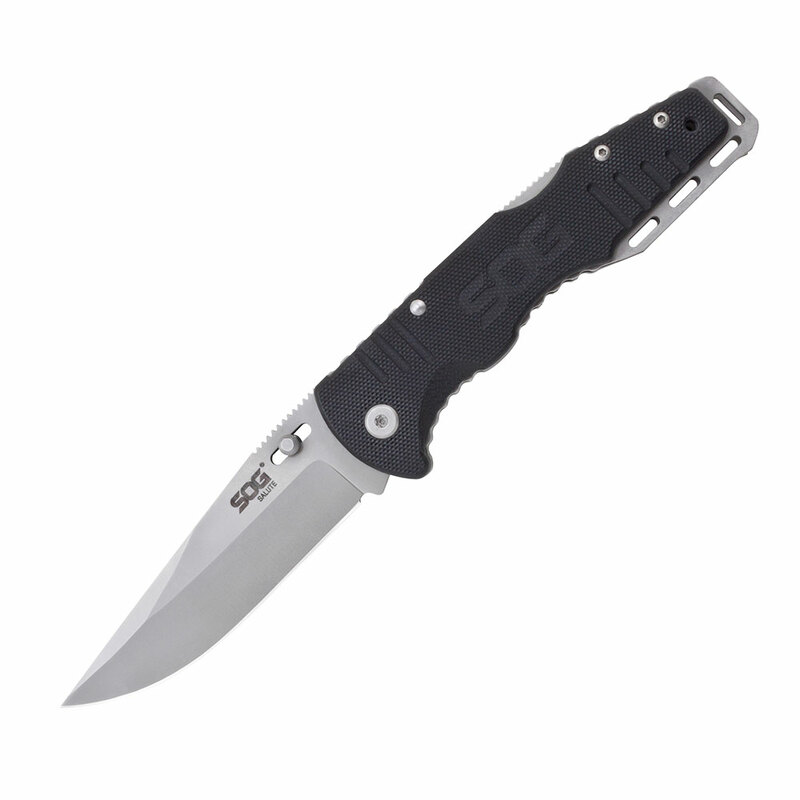 The VG-10 blade rotates effortlessly to lock up in SOG’s Arc-Lock. 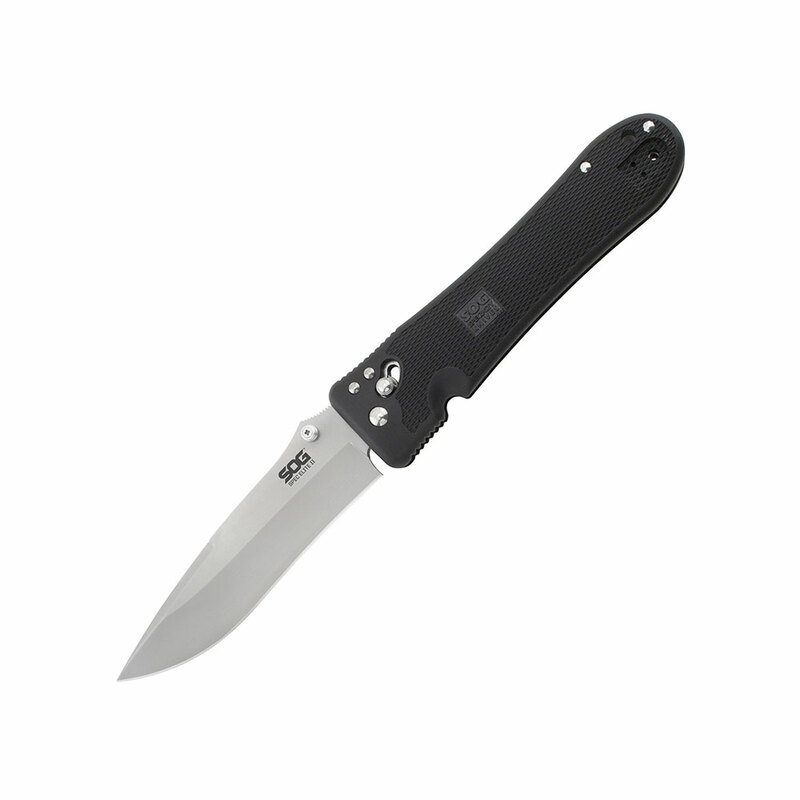 Tested at over 1000 lbs. 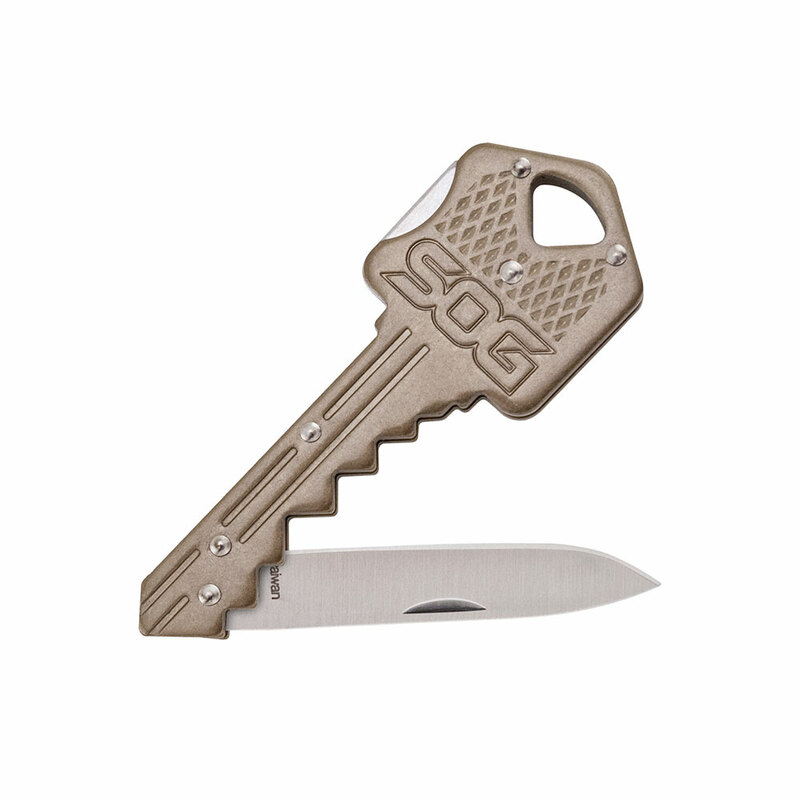 of force at the lock, the Arc-Lock is SOG’s strongest lock. 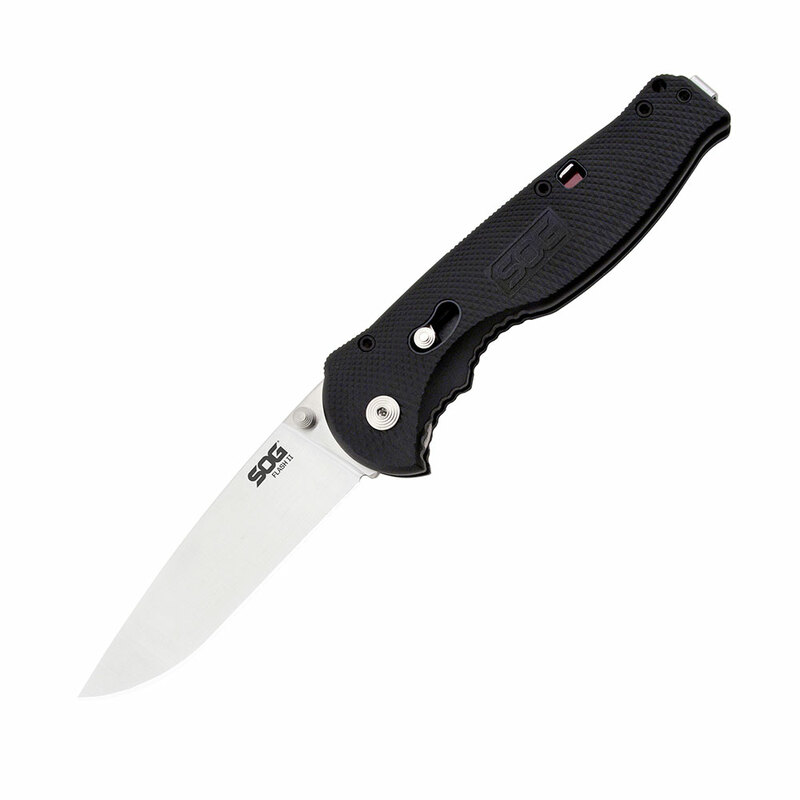 The handle is made of machined titanium and textured Kraton which make it lightweight and easy to hold.